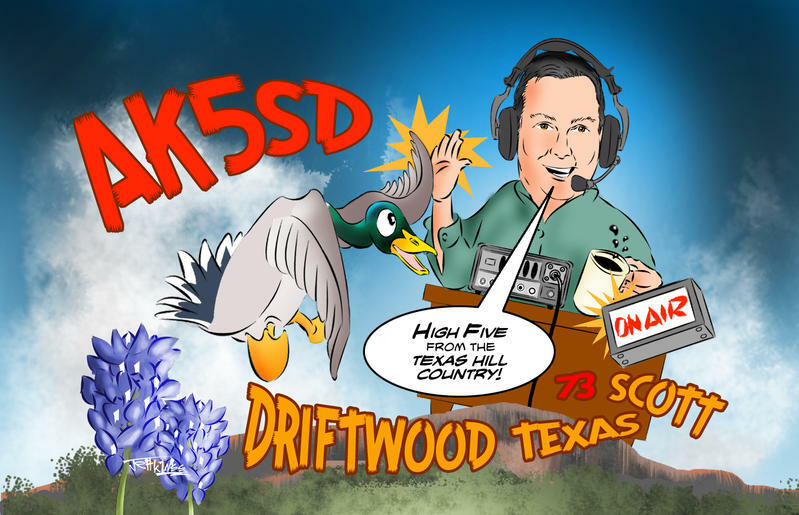 This entry was posted in Guest Posts, Ham Radio, News, Portable Radio, Preparedness, Radios, Shortwave Radio and tagged Amateur Radio, Elecraft, Elecraft KX3, Elecraft KX3 Go-box, Go Bag, Go Box, Go Kit, Ham Radio, KX3, Portable Radio, QRP, Scott AK5SD on November 20, 2015 by Thomas. Could you also send me the CAD file?? Ditto on the CAD file, could I have a copy please? Hi Scott. Can I also jump on the CAD file band wagon please. Seems you’ve created something that’s created a bit of a stir. Could I possibly get the CAD file? Scott, I have a bigger case. Can you file be modified for a larger case? If it can may I please have a copy? Could I possibly get the CAD file also? Hi Scott, is that CAD file still available? Can you send me? Does anyone have the CAD file that they can send to me? Can you send me the CAD design? I need to work something up for my go box and didn’t want to start from scratch. I like your idea very much and would like to make one for myself. Can you provide me the CAD file for the front panel? How can I get a copy of the CAD file to start on one for myself? Is the car file available? Hopefully it still is. Hi Scott, is that CAD file still available? Wonderful job! I would also appreciate the CAD file for the front panel. Thanks! I’ll also love the CAD/Front Panel Express file. I’d like to modify it slightly for a Pelican 1200 case. Thanks much! +1 for the CAD file. I would like to have a go. Thanks ! Hi Scott if possible have the CAD file of pannel for reproduce It. Where I can make it? Thanks for posting all the detail. One correction I’d like to point out. The following cable should be used to route the antenna output to the panel. I ordered the one listed in the write-up and it doesn’t allow for panel-mounting the BNC female plug. The one below is the “large bulkhead” version of the same cable and will work as intended. LoL. I just found out I live literally about 5 blocks from Elecraft offices. I was looking up these radios for a packable or manpack set up for long backpacking trips. 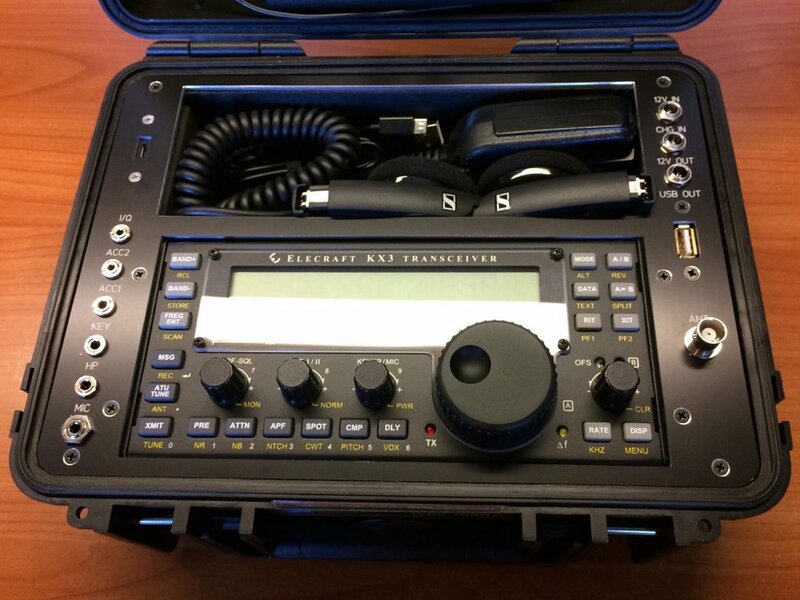 Rafael, you might also check out Elecraft’s new KX2. It’s even smaller than the KX3 and has most of the KX3’s features. It’s also slightly lower in price. Beautiful. I have seen no equal in all the go boxes on the net. Wow!!! Scott, you should do an update with the unique PTT you use and the lightweight mic you use as well. I just bought a bunch of the parts.. I plan on doing this project this year. In order to free up a hand, I started using an head worn microphone like those used by singers and public speakers. The one I have is the Nady HM-45U Headworn Uni-Directional Condenser Microphone. 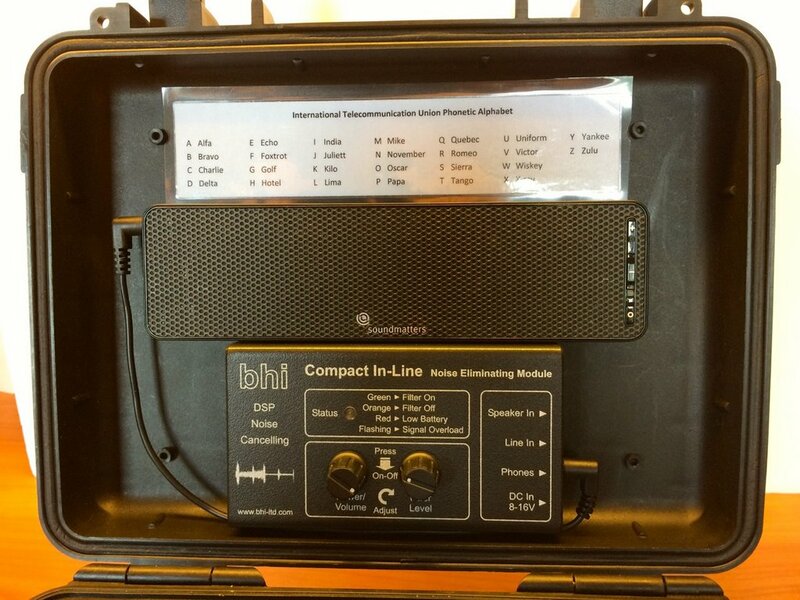 At the present time, it is available from proaudioguys.com for $40. One thing to know about this mic is that it has a wide frequency response. If you use it without equalization it will likely end up being bass heavy. I use the graphic equalizer in the KX3 to optimize it for punch. It can plug directly into the Mic port of the KX3, but you have to turn off PTT in the menu. 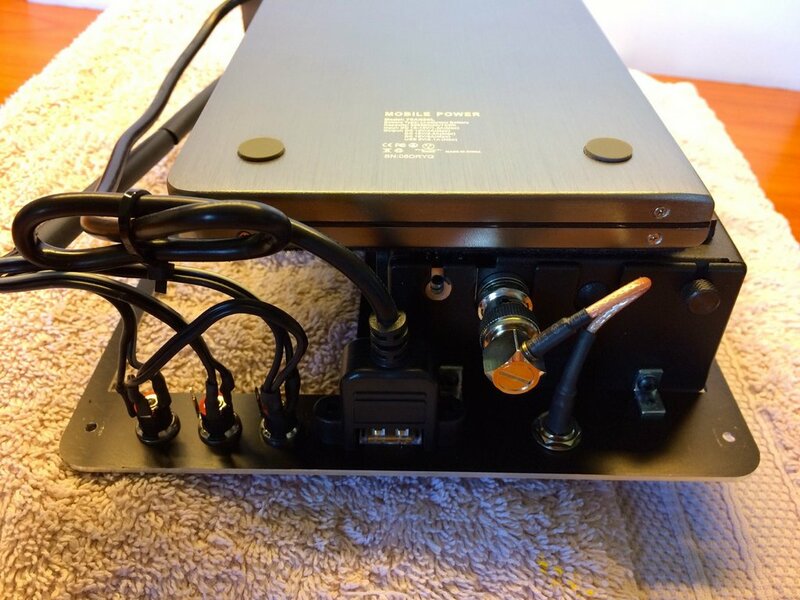 Another option, and the way I do it, is to get a stereo to dual mono splitter and plug the head mic into the tip input and a PTT button into the ring input. 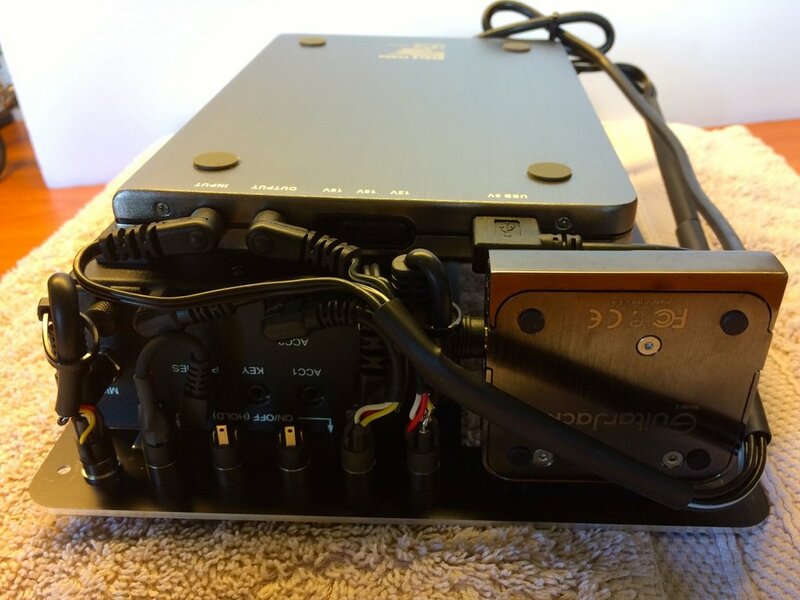 The splitter I use is the Hosa YMM-261 Stereo Breakout Cable. You can plug any PTT switch with a 3.5mm plug into the red jack but I actually plug my CW key into it. The CW key is attached to the bottom of my iPhone using Scotch Dual-Loc fastener. I can simply press the CW levers together to activate the PTT. When I want to operate CW, I unplug the the CW key from the adapter and plug it into the Key input on the KX3. If/when Elecraft enables the Key input to activate PTT, I won’t need the adapter cable any more. So, I have the head worn mic and hold an iPhone in my left hand (for logging using Hamlog). 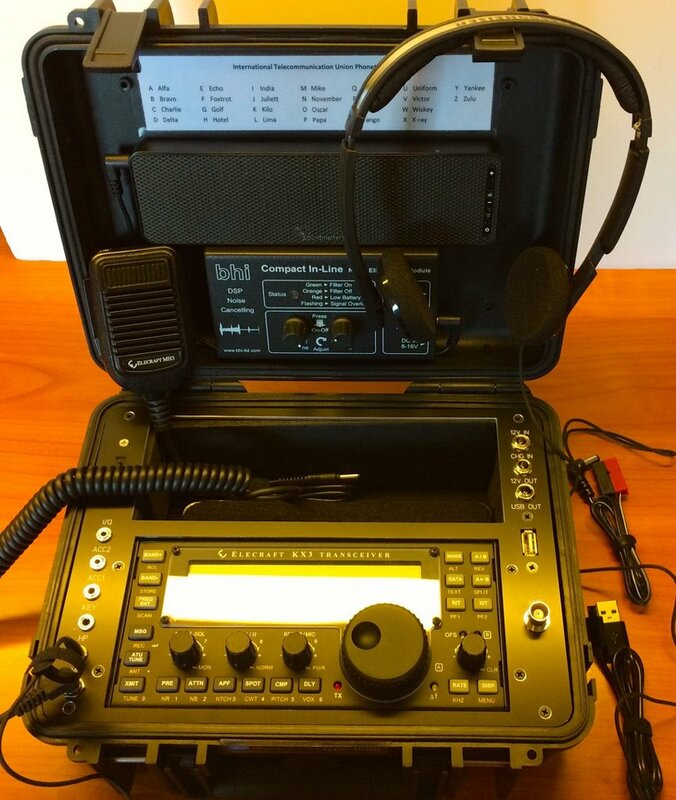 The right hand enters the call signs and signal reports into Hamlog and also operates the PTT which is attached to the underside of the phone. This results in a pretty streamlined work flow for me. I’ll try to answer the questions posed so far. I don’t know if the B&W case is “airtight”. Is is certainly supposed to be water proof and dust proof. I have not felt compelled to test it, but I I did I would take the radio out of it first. Hi Hi One caution is that you have to be really careful when you install the L brackets that hold the panel in place. They screw into the inside of the case. If the screws are too long, they can puncture the outside of the case (I believe the case is double walled). The BHI Compact Noise Eliminating Module does a fine job. It is expensive, so if you can get it direct for less then go for it. I bought it at the Dayton Hamvention. One peculiarity is a takes a fraction of a second (maybe 1/2 second) to “lock on” to the noise profile of the band you are on. Until it locks on, you get the full noise. This happens each time you release the PTT (or VOX), so you get a blast of noise for 1/2 second and then it kicks in. It has to do with the particular noise reduction algorithm they are using. There are other after-market DSP noise reducers out there, but none that are as small and can run off of 2 AA batteries. I can’t believe I forgot to mention the headphones. They are the Sennheiser PX 100-II On Ear Miniheadphone. I highly recommend them. They are open back so they let in a little outside sound, but not too much. That is a plus for me, but I just wanted to mention it in case that is a negative for you. Scott’s planning, sourcing and execution of his go-box has inspired me to refine my SWL/DX kit. The only downside is the “noise” he may get in the field from all the people asking where he found such a cool unit! I don’t believe the fold-up headphones were identified in the writeup; could that info and any opinions on their performance be supplied? This is one beautiful go-box! 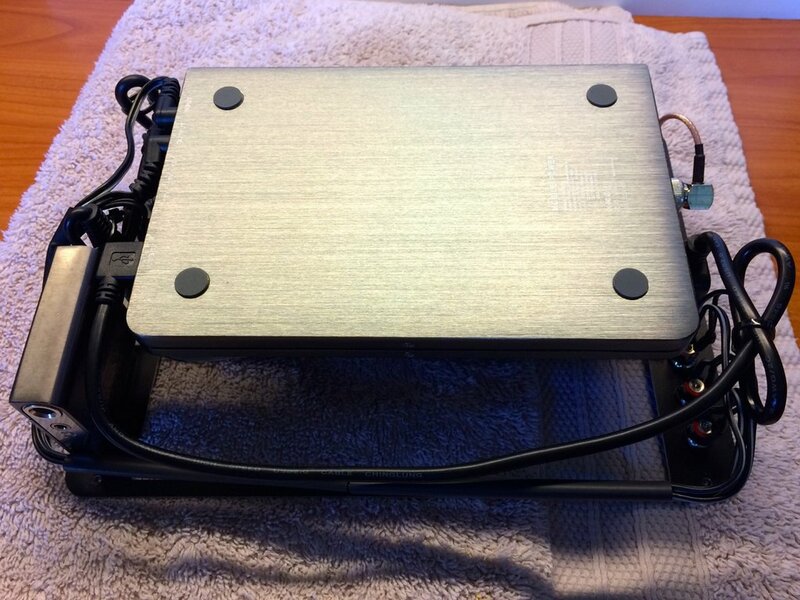 Scott can be very proud of his design, and many thanks to him for sharing his parts list and tips. I really like the inclusion of the BHI Ltd. noise reduction accessory. I’ve been a big fan of their noise reduction performance for years, and find that the results surpass what I’ve heard in various SDR radios and software (although I do consider Studio 1’s NR to be very good). Readers interested in the BHI Compact In-Line NR accessory should note that purchasing through BHI’s web site is less expensive than through GAP ($226 USD incl. international shipping vs. $259 *without* shipping). Also, the newest BHI products like this compact version have an improved NR algorithm for even greater (40 dB) maximum noise reduction. 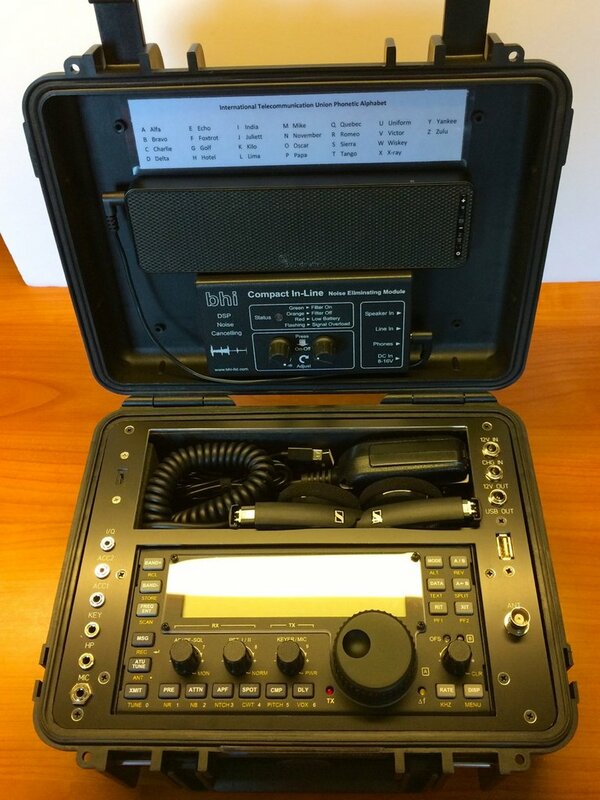 Scott’s Go Bag radio is a work of art, must be lots of fun firing it up and having QSOs. Very neat, organized, and quality workmanship. Nice concept in packaging. I seen this done for other field day equipment with Pelican boxes, Is it air tight when closed? Have you thrown it in a lake to test how waterproof ?